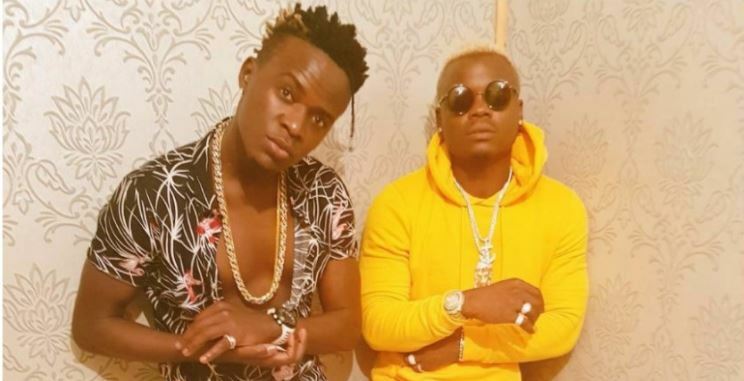 It’s been barely a fortnight since Willy Paul tapped Bongo’s Harmonize for the remix of his single “PiliPili”, but the Kenyan singer is not happy. The controversial gospel hitmaker feels shortchanged by the Wasafi Records signee and took to social media to express his disappointment in a thinly veiled attack. 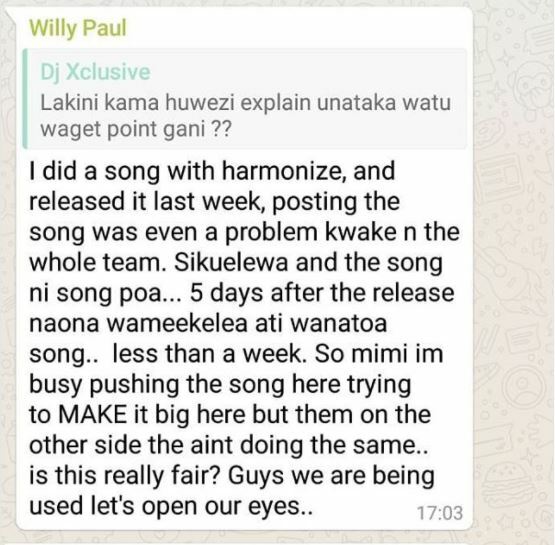 From what we gather, Harmonize has taken a hands-off approach towards publicising the song and Willy Paul feels he has been used. To make matters worse, Harmonize has dropped a new song with Diamond – Kwangwaru- whose YouTube views are close to clocking 1 million after just three days. This is a stark contrast to ‘PiliPili’ which has garnered close to half a million views after two weeks. This seems to be Willy Paul’s main area of contention who says he is saddened. “This is so sad! Honestly speaking, let’s not be people who are just after using others. Let’s learn to support. And if we agree to support then let’s do it whole heartedly… it’s a small world we are living in you might be at the top today but remember. Tomorrow is not guaranteed.. learn to live with people!” wrote Willy Paul. This is so sad! Honestly speaking, let’s not be people who are just after using others. Let’s learn to support. And if we agree to support then let’s do it whole heartedly… it’s a small world we are living in you might be at the top today but remember. Tomorrow is not guaranteed.. learn to live with people! #tafakari Before I forget, thank you to the whole @wcb_wasafi @diamondplatnumz @babutale @sallam_sk for letting me feature @harmonize_tz in the song #pilipiliremix GOD BLESS YOU ALL.